Ships tomorrow if you order in the next 21 hours 39 minutes. Protect your cells with a powerful antioxidant from Source Naturals. 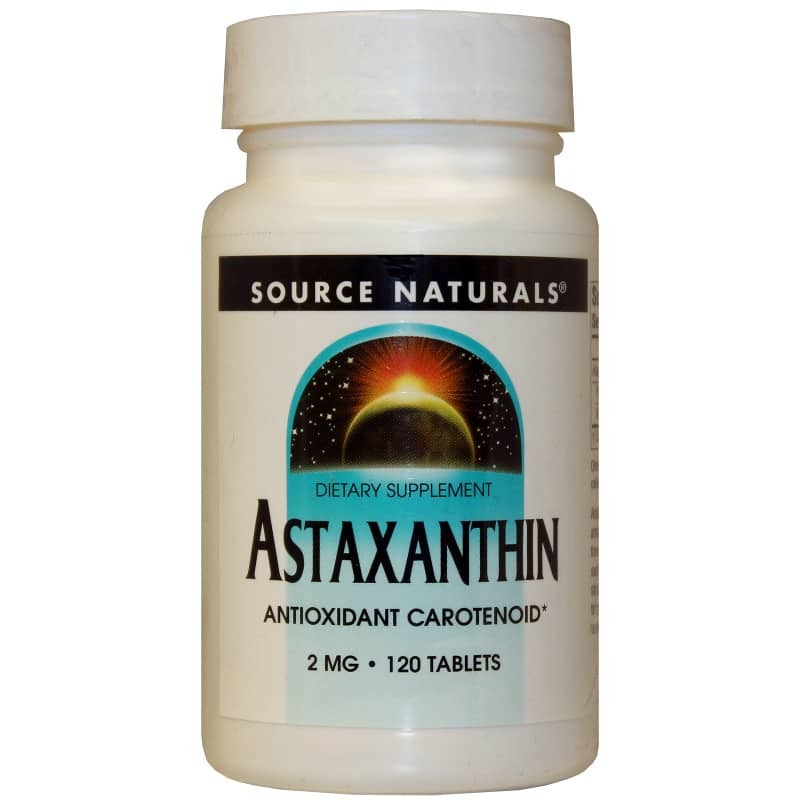 Astaxanthin is a supplement containing 2mg per tablet of this potent member of the carotenoid family. In fact, astaxanthin may be as much as 10-times stronger than other carotenoids, like lutein and beta-carotene. Research suggests it is 100 times stronger than alpha-tocpherol. Astaxanthin is the pigment that gives seafood - like shrimp, lobster and salmon - that pinkish hue. 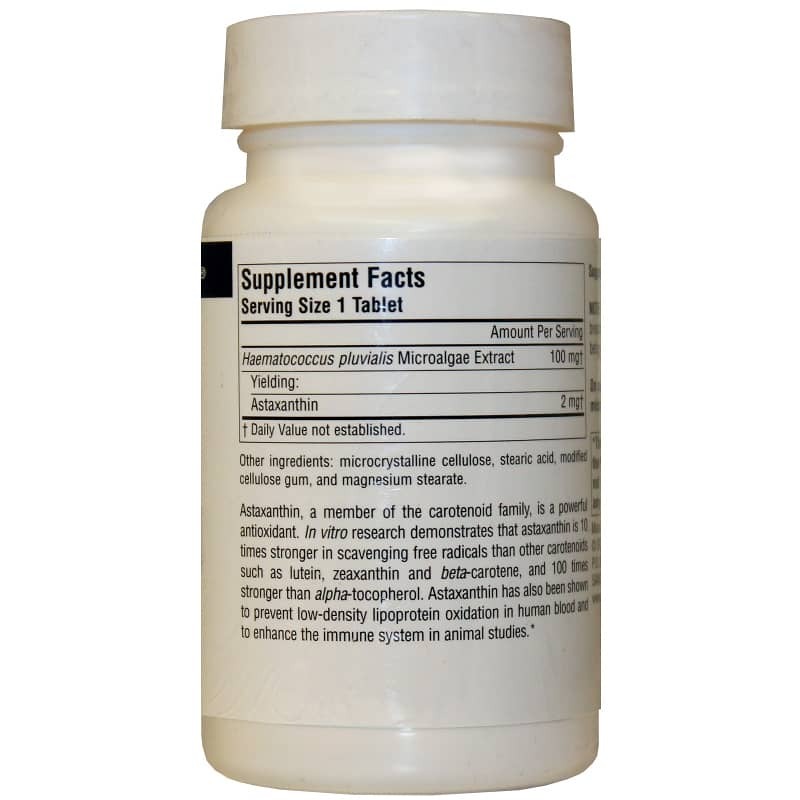 It also can be found in certain types of algae - which is what Source Naturals uses to make this supplement. Astaxanthin may be able to help boost your immune system and defend your body against oxidative stress. Order yours now and harness the potential of this all-natural antioxidant! Other Ingredients: microcrystalline cellulose, stearic acid, modified cellulose gum, and magnesium stearate. Adults: 1 tablet twice daily with meals. 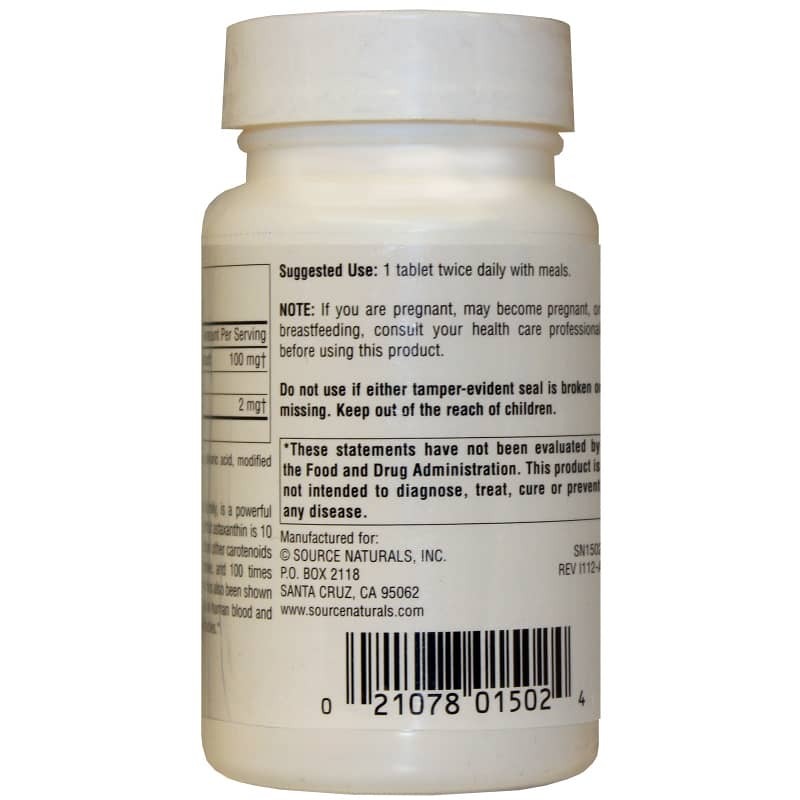 If you are pregnant, may become pregnant, or are breastfeeding, consult your healthcare professional before using this product.Do not use if either tamper-evident seal is broken or missing. Keep out of the reach of children. Good product...love the small tablet, but the price doubled in just a few months! No one from the company could tell me why.